I have set-up a form selling gift certificates here but want people to be able to buy multiple gift certificates. However when they purchase now they only get one certificate number. 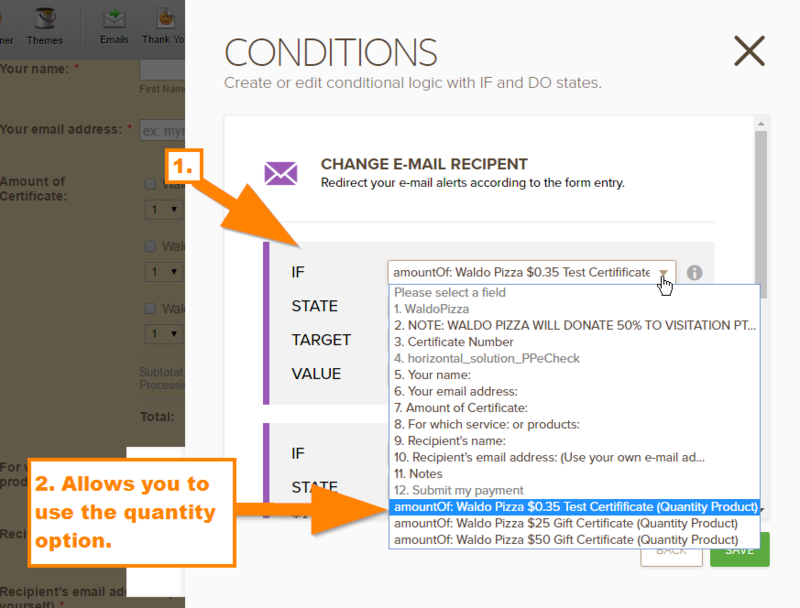 How can I make it so that they get one e-mailed certificate per the quantity they choose? I cloned your form and I see that you are using the Unique ID widget as the certificate number generator. Unfortunately, the unique ID widget can only generate one unique ID per submission, meaning even if your users have more than 1 quantity in their total purchase, the submission is still considered only one. 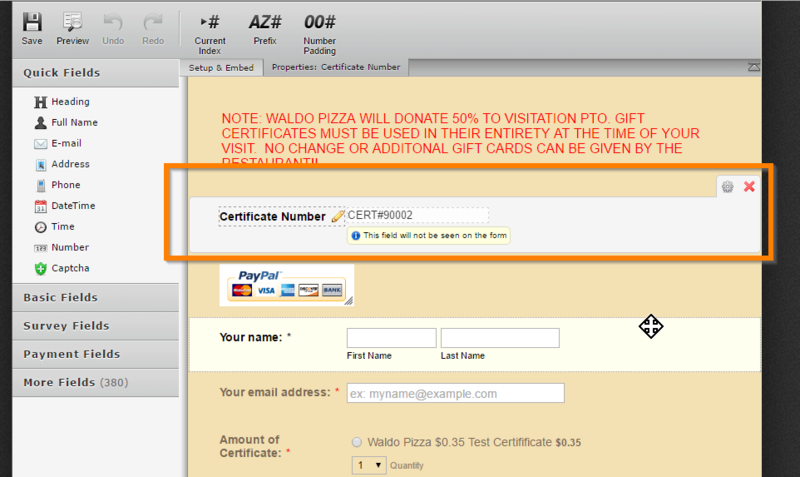 If they want to have multiple certificate numbers, then they will need to submit the form multiple times. 2. Now this cannot be done in the widget, so we will hard code it in our emails. I presume you want ONE email per certificate number? Now in my end, I create autoresponder emails specific on the quantity of the products. 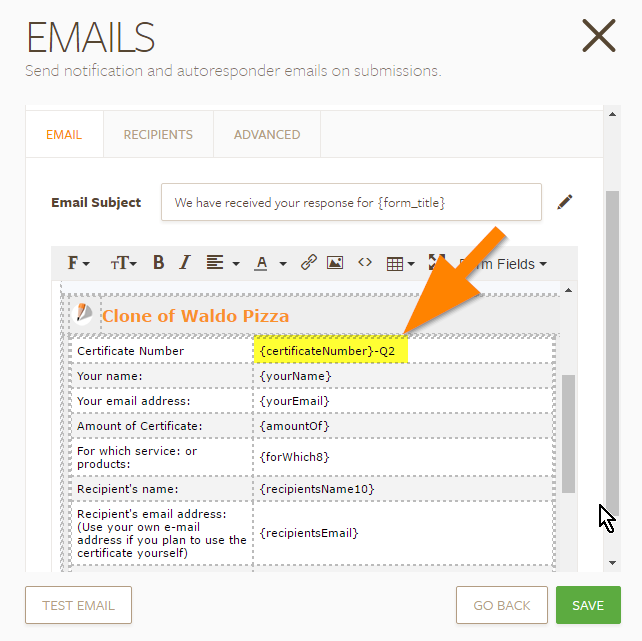 Now you can repeat this to other autoresponder emails that you will be creating, I presume you'll need to have 10 autoresponder emails because the max quantity for your product is 10. 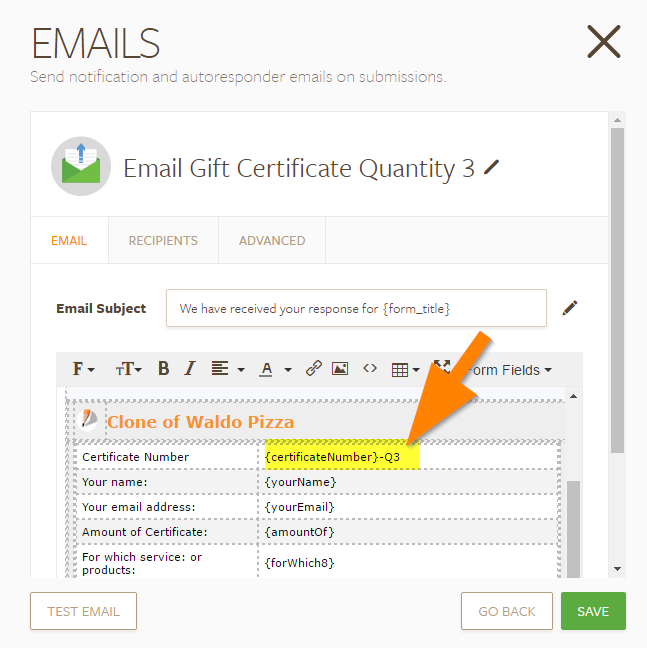 Send autoresponder email "Email Gift Certificate Quantity 2"
How about for quantity 3? 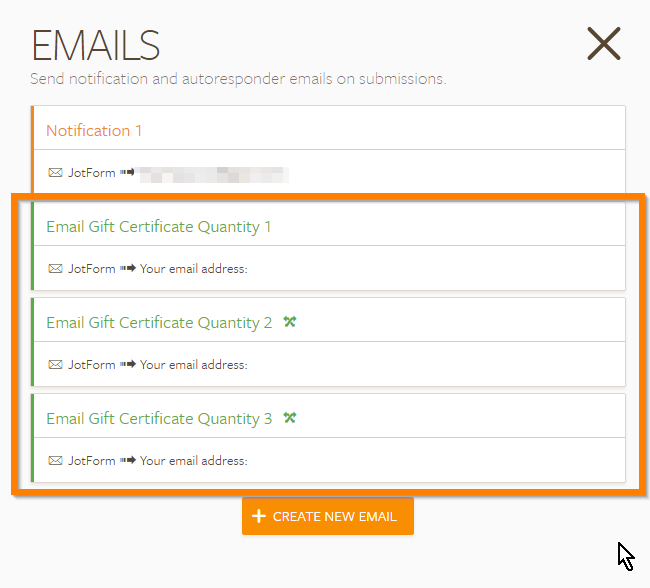 Send autoresponder email "Email Gift Certificate Quantity 3"
Send autoresponder email "Email Gift Certificate Quantity 4"
Send autoresponder email "Email Gift Certificate Quantity 5"
Now your users will receive separate autoresponder emails with different certificate numbers based on the quantity of the selected product.